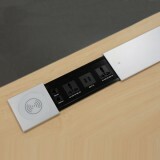 Ideal for quickly connecting or disconnecting tables and table leaves for office layouts and to build work stations. The product has compact size and is easy to store and transport. 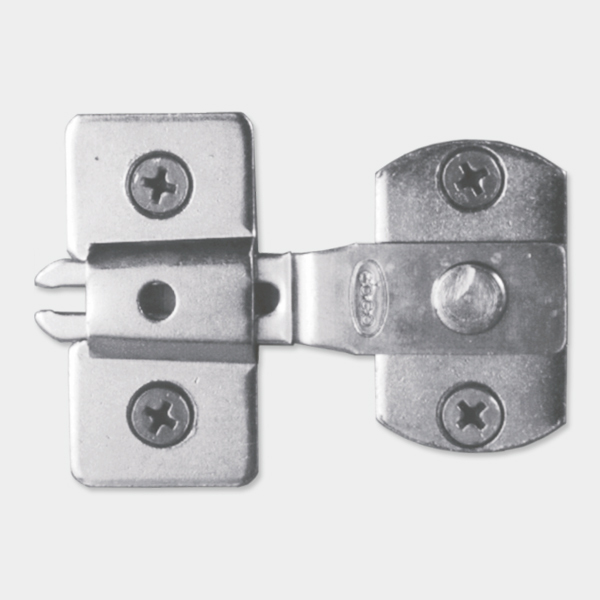 Manufactured out of hardened spring steel with austempering for long life and durability. A fast and cost effective solution. Fit catch under one and connector under the other of the two tables to be connected. Screw holes 32mm apart and 21mm from the edge of the table. Connector can be rotated for transportation and storage. Join tables by pushing connectors into catch. Tables can be disconnected by pulling them apart.